Autodesk has released 2017 version. 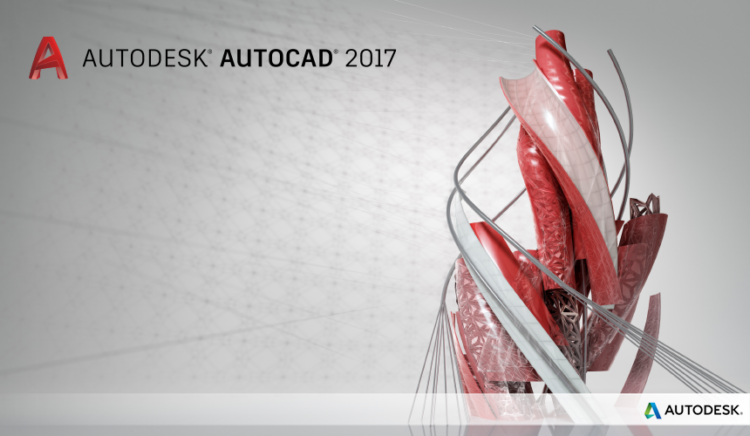 Autodesk released AutoCAD 2017 at the end of March, and the suites just recently available. Some system enhancements are quickly noticeable. And PDF import has been covered many times as the most popular new feature. We will cover them here. 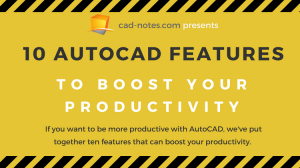 In this article, we start covering the new features and enhancements in AutoCAD 2017. Autodesk changed the license manager in 2017 version. When the you install AutoCAD 2017 (and other 2017 version) it will not ask for license details. No serial number or license server name is required. The license details will be requested at the first time you run the software. I suspect this is because Autodesk only sells subscription license starting this year. The new license manager should allow users to change the license type from standalone to network or vice versa and change the serial number easier. The subscription licensing option allows you to buy a monthly or quarterly subscription. It means you can purchase subscription several times in a year. You can easily change the license details without reinstalling the software. However, it’s not ideal if you install a suite. 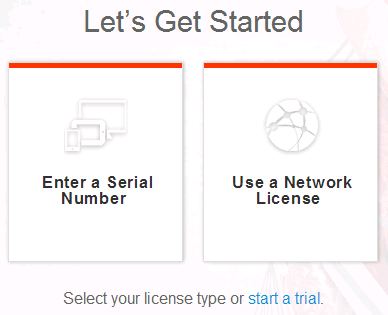 You will need to choose license type and serial number for each product at the first time you run it. And as I own a perpetual license, I feel left out. 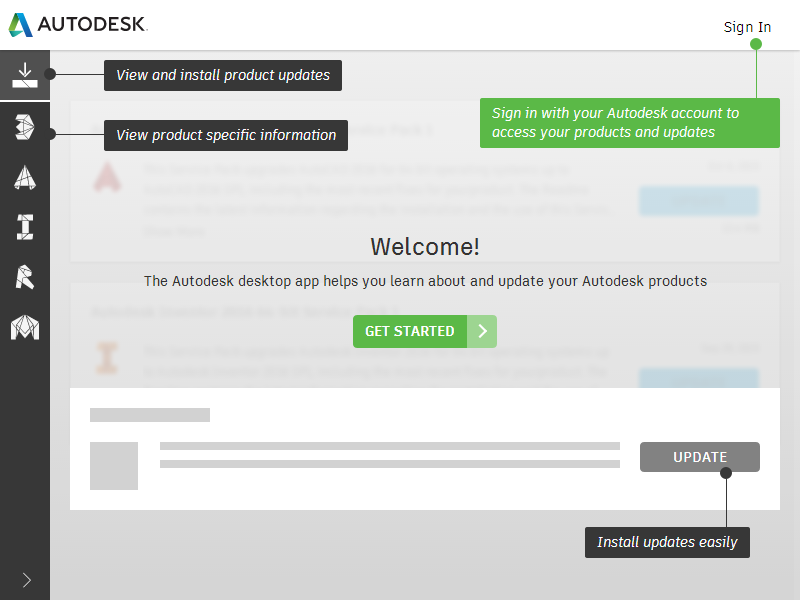 I sense Autodesk prefer their new subscription customers than their existing perpetual customers. You can find more information about this license manager in AutoCAD blog here. Autodesk has replaced the Autodesk Application Manager with Autodesk Desktop App. You can open it from the icon on your desktop or Windows taskbar. You can use it without signing in. It says that we can get more value if we sign to Autodesk account. I haven’t seen the advantages yet, probably because there are no updates for 2017 version is released yet. The nice thing about the new desktop app, we can set shared storage for other users to get updates. Only one computer need to download the updates, and the other users can get them from a local server. More information about Autodesk Desktop App on AutoCAD blog here. 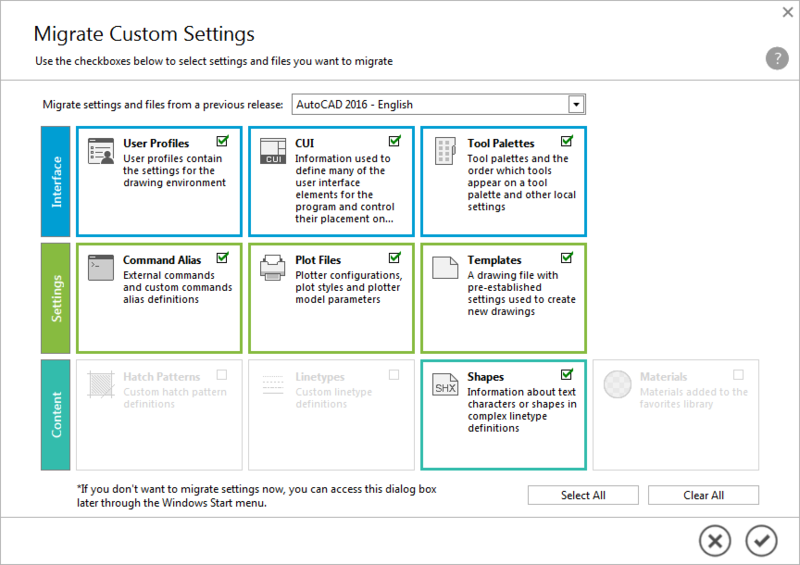 Autodesk replaced Migrate Custom Settings interface. This interface looks modern and clearer to see what we want to migrate. There’s no new function here. It does the same thing as the old tool; Autodesk just redesigns the interface. This interface is only for migrating settings from the previous release installed in your computer to AutoCAD 2017. It’s not available for export import settings to another computer. I hope we can have options for export import settings in the future. In 2017 version, you can resize most of the dialog boxes. It allows you to see a longer list and larger preview. For example, the insert dialog box has bigger image preview at the right side. You can stretch to resize the dialog box to see the larger preview. You can also see the changes when you use ATTEDIT command. The attribute list is now extended so you can see more on one page. Recent versions of AutoCAD seems to have problems with the variables that change by themselves. Autodesk added System Variable Monitor in AutoCAD 2016 to notify users when common variables are changed. Apparently that’s not enough. In AutoCAD 2017, Autodesk added a notification when users do a noun-verb selection. When the PICKFIRST variable is set to 0, you can’t select objects and press Del key to delete objects. In AutoCAD 2017, AutoCAD will ask you if you want to turn on PICKFIRST. This is a simple change, but I know it would be useful for occasional and new users. I expect to see more system variables have this notification. I’ve been wondering why recent AutoCAD versions often change the system variables. And why this issue is not fixed yet. Many AutoCAD veterans suspect that this happens because the users are using AutoLISP or Express Tools. But I’ve seen this happens in AutoCAD LT as well. AutoCAD LT has no Express Tools and it can’t use AutoLISP. PDF import probably is the most expected feature for years. 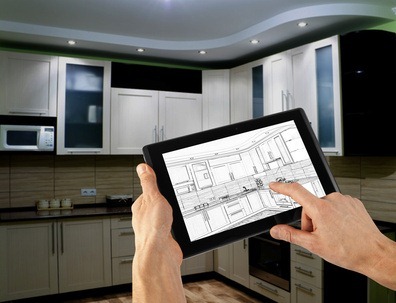 There are many request and questions how we can convert PDF to AutoCAD drawings. You can import PDF to AutoCAD drawing in AutoCAD 2017. The process is very simple. You can activate the command by typing PDFIMPORT or from Application Menu> Import> PDF. You can choose from PDF overlay or external PDF file. Don’t expect the result to be perfect. AutoCAD will only convert the drawing to simple objects. Dimensions will be lines and texts. Lines with dashed linetypes will be separate lines. If you ever work with PDF as underlay before, you will notice that the precision is not 100% accurate. You can quickly notice this if you work with metric units. The same thing happens to the converted drawings. The drawings from PDF is perfect as a visual reference, but not for using the objects in your design. Personally, I prefer using PDF underlay for this purpose. But I expect that converting the drawing could be more convenient. Autodesk changed several things in this area. Except for the PDF import, these features are not new. But it’s good to see those improvements. My favorite as a user is the resizeable dialog box. And as a technical support, I like the delete key notification. Many of my customers have this problem, this will help them a lot. What I don’t like is the new software license manager. I will have a hard time installing Autodesk Suites on multiple computers with it. What about you? What do you like the most? And what do you hate the most from the enhancements? Thanks for this article. I want to know that. How to use Autocad 2017. It is posible for autocad software,to draw from a phtograph from an object? 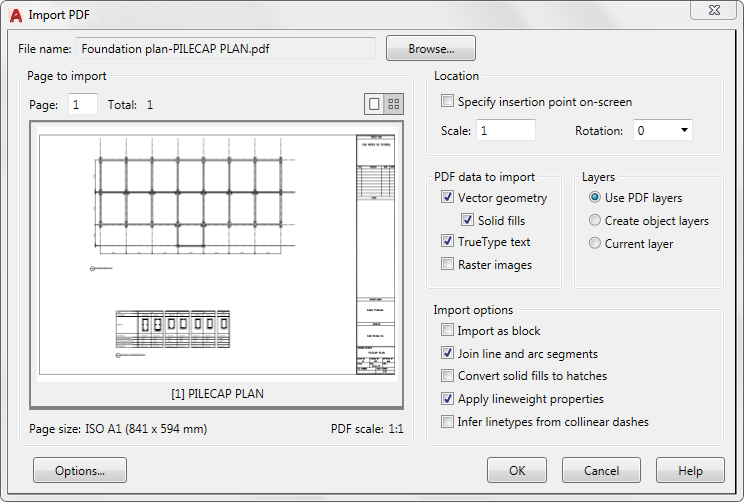 Do you want to convert a scanned drawing to AutoCAD drawing? If you do, you can try using AutoCAD Raster Design to do this. It’s a different product, you may want to try it first. If you want to create a point cloud object (3D object) from a series of photograph, you can try 123D Catch. Pdf import of course is the most needed and I’m glad it came to Autocad 17, although it is not perfect, but a good progress. I have been using Autocad since 1988 and I try nearly every version. I also give training to my students in the University and engineers. Even though I haven’t upgraded to 2017 yet, the ability to import pdfs is definitely the feature I’m looking forward to the most.